Landscape Mode refers to an image's orientation, in which the image's aspect ratio is wider than it is tall. Landscape mode typically has an aspect ratio of 4:3 or 16:9 (the aspect ration of high definition video) and is most appropriate for landscape, group or candid photography. Is the opposite of Portrait Mode. Nearly all digital cameras re-interpret the image orientation for previewing a digital image. Large-Format refers to the numerous photographic formats that use large negatives and cameras, i.e. a 4x5 or 8x10 negative or digital image sensor. Large Format photography provides exceptional resolution and it is far easier to manage the depth of field on Large-format cameras than it is on 35mm cameras. Large-format cameras have perspective and depth of field controls that are unable on 35mm (or equivalent) SLR cameras. Large-format digital backs are available for large-format digital cameras and they provide all the positive attributes of large-format film photography. LCD stands for Liquid Crystal Display, and is a technology that is allows for very thin electronic visual displays. LCD technology is ubiquitous for view screens in digital cameras. The Lens is the camera element that is constructed of multiple pieces of glass to focus light to a given focal point, which is usually the film plane or image sensor. A Lens Barrel is the outer casing of a camera lens, having all the manual lens controls on it - f/stop or aperture control, focus ring, and (at times) critical focus marks. Lens Flare is an unwanted, plume of light in a photograph due to shooting directly into a light source, thereby causing the light to reflect and scatter inside the lens. The root cause is aberrations in the manufacture of the lens' glass elements. Lens Hood is a camera accessory that fits on to the end of the lens that can shield the lens from direct light rays that will cause lens flare or other aberrations in a photograph. Lens Speed is a semi-technical designation that rates or compares a lens' maximum f/stop value; i.e. 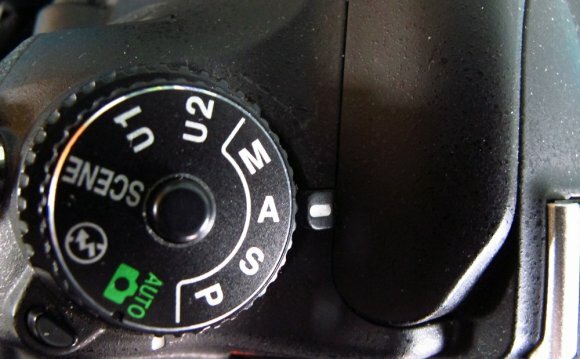 a fast lens might have a maximum f/stop of f/1.4, conversely a slow lens might have a maximum f/stop of f/4.5. Light Meter is a device that measures light; is usually available in three different configurations - ambient, incidental or color temperature. A light meter is a crucial piece of equipment for the photographer to accurately measure the light falling on a subject or reflecting off a subject. Lossy (file format) refers to a characteristic of the file compression. A lossy file format loses (or discards) so-called redundant data (in our case photographic image data) in an attempt to compress the size of the file, while still retaining enough image information to recreate the image. Low Key is a lighting technique in which black is the controlling color of the image, and high level of contrast and the key light isn't strong, the fill light is important and shapes the contours and textures of a the subject. Luminosity measured in lumens, and describes the brightness of either a light source or a reflective surface. Luminosity also measures the highest to the lowest RGB components of an image. It aproximates the response level of the human eyes to variations in lighting.